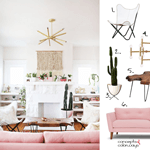 Oh, how I want a blush pink sofa! It adds such a nice feminine touch to a living room. But, how do you use such a girlie color in a design without it looking too Barbie dream house? Well, Elsie Larson of A Beautiful Mess has certainly mastered that skill in this home design for singer and songwriter, Kasey Musgraves. We’ll take a closer look at the design elements that make up this look later in the week. But, for now, let’s focus on the color palette. The primary colors of the room are a barely pink white for the walls with bright white trim. A honey brown wood floor grounds the space with ivory and brass accents adding detail. 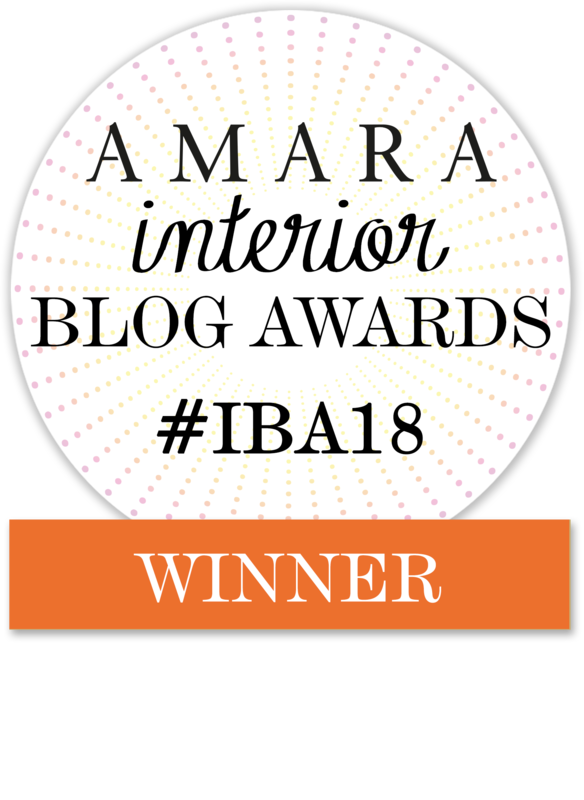 To finish off the look, dark green plants are used which contrast beautifully with the blush pink sofa. I love it! Here’s a peek at the paint palette for this look. 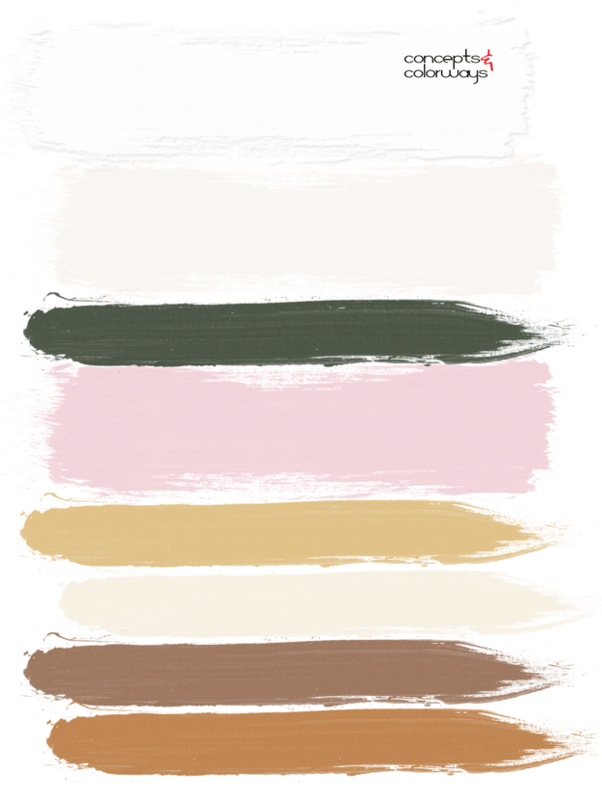 The dark green accent is a great way to give blush pink looks a modern feel. 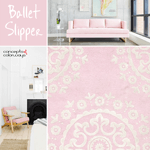 If you like The Feminine Touch palette, you might also like my Ballet Slipper color trend post. 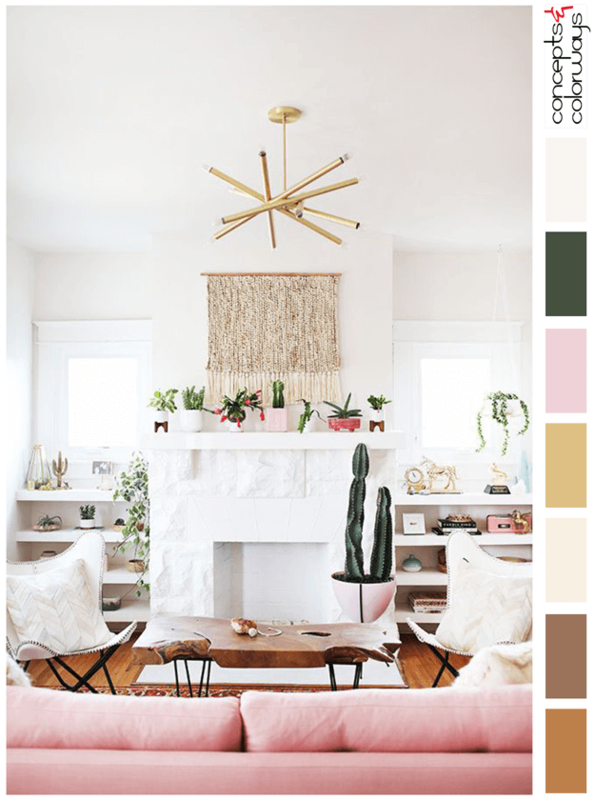 This palette coordinates with my ‘A White Living Room with Blush Pink and Brass Accents‘ get the look post. I’m loving this shade of pink! 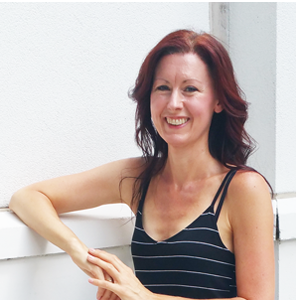 And really, a great way of balancing it with earthy tones and the green of the plants! So do I! That dark green and blush pink combo is so stunning, isn’t it?